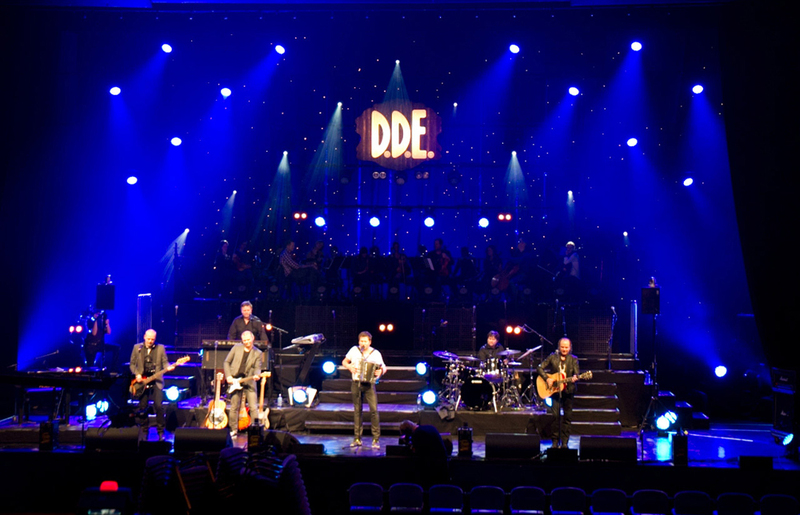 Popular Norwegian pop/rock group DDE is currently out on a 20th Anniversary summer tour with a rig that includes Martin Professional’s MAC Aura wash light. The band marked the anniversary earlier in the year with a special concert in Olavshallen in Trondheim, held exactly 20 years to the date that the band stepped on a stage for the first time. 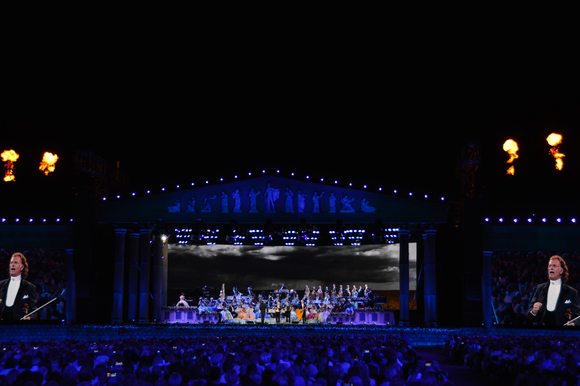 The special anniversary concert was broadcast on TV network NRK1 on June 2nd with lighting design by 21-year-old Lars Kristian Mathisen who turned to a Martin rig of MAC Auras, MAC 700 Profiles and MAC 550s for the show. Not your typical DDE gig, the concert featured numerous guest artists including The Trondheim Soloists and the celebrated Nidaros Cathedral Boys’ Choir. Lars was responsible for all aspects of lighting including design, rigging, programming and control. He commented, “This was the largest project I had ever done - a big challenge but also very fun. At the time of the concert, the Aura was pretty new and had not been used much in Norway. I had had the opportunity to try it out at an earlier event and was impressed by its performance. I really like the combination of the backlight ‘aura’ and the wash.
Seventeen Auras were supplied for the special anniversary show by Spekter with 6 fixtures coming from Trønderlyd and 12 from Frontal, which were nearly all the Auras available for hire in Norway at that time. The gear performed flawlessly during preparation for the show and the final concert, according to Lars. 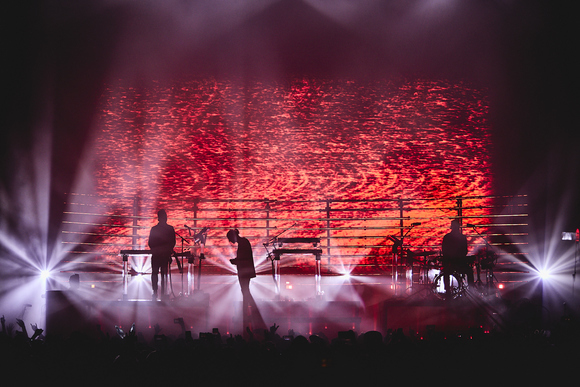 “Since this show was recorded for later national TV screening, I was looking for a moving head that could add some background light without too much light spill onto the front stage. The ‘aura’ effect proved to be perfect for this use. They have an amazing zoom range and speed offering endless possibilities. I am also impressed by the color clarity,” Lars concludes. DDE’s anniversary tour features 12 MAC Auras, 4 MAC III Profiles™, 3 Atomic 3000s™, 1 Atomic Colors™ scroller and 2 Martin Magnum 1200™ fog machines.